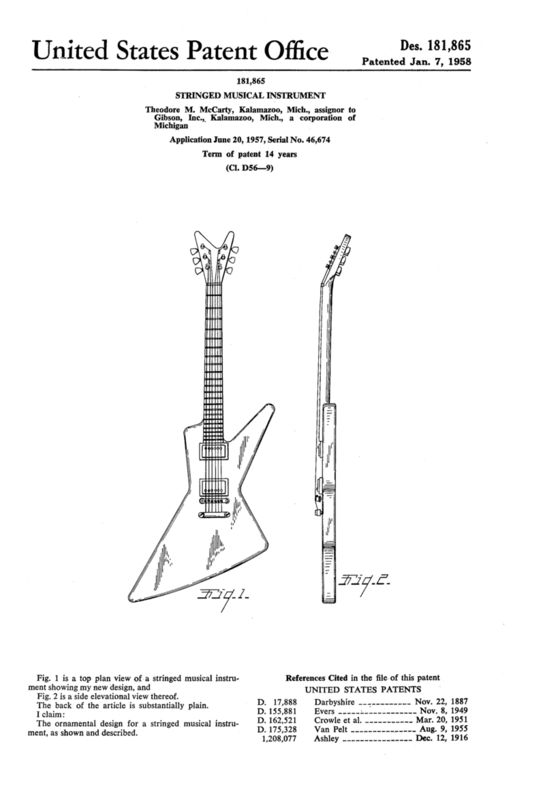 Voodoo Guitar: 1957: Gibson Guitars, Korina wood, & Science-Fiction at it's finest. 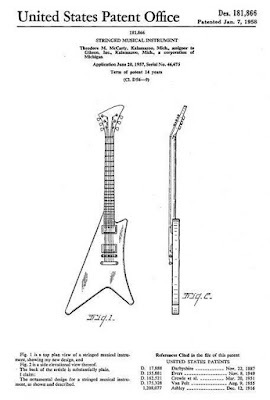 While the more traditional Gibson Guitar Company was struggling to compete in the same marketplace that Leo Fender was ruling with his Telecaster and Stratocaster models, President Ted McCarty patented some space-aged designs, supposedly influenced by science-fiction movies and the space race of the era; these prototypes were first seen at the summer of '57 NAMM show, and led to the introduction of the Flying V and Explorer in January of '58. Two of the other designs, unnamed at the time, wouldn't make it to the production line for decades; they surfaced in the early 1980s under the names Moderne and Futura. 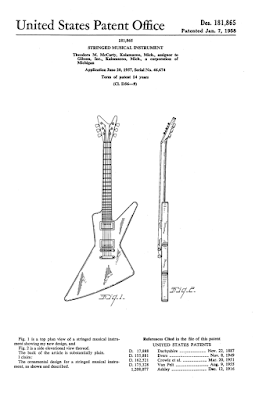 The first appearance in a Gibson catalog of the Explorer & Flying V, 1958. Made from slabs of beautiful white Korina wood (true name African Limba, although some early models also used the more standard Gibson mahogany) and featuring gold hardware with white or black pickguards and the new 1957 Patent-Applied-For "Humbucker" pickups, the world truly was not ready for these innovative designs, and wouldn't be for over a decade; Only 98 Flying Vs were produced from '58-'59, along with less than 50 Explorers, making them two of the rarest production-model guitars ever. 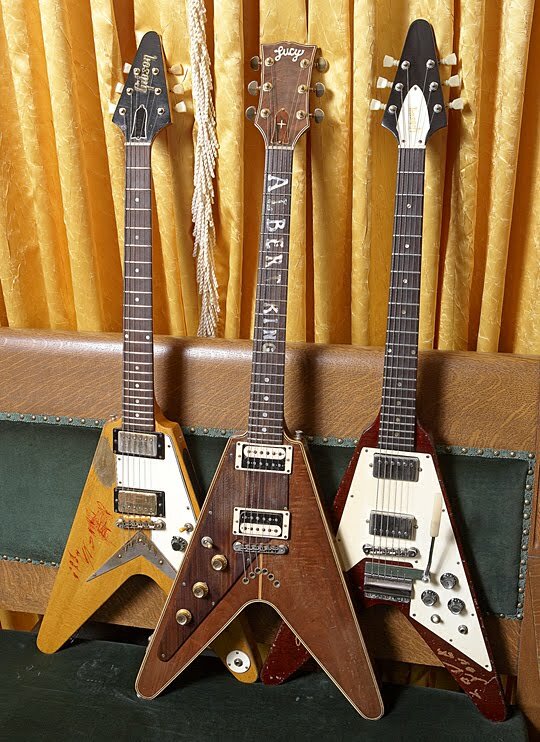 Even rarer still, the Futura was limited to 5 or 6 units, with 3 known to still exist, but the original Moderne is the guitar equivalent of Bigfoot; possibly less than 3 made, with one rumored to still exist, although unverified (more on this later). 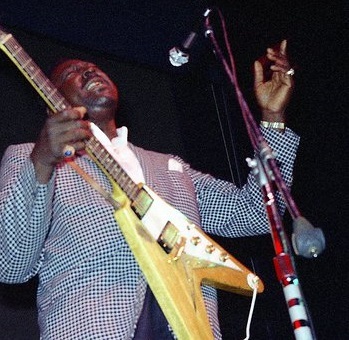 The Flying V had a few early devotees, such as blues greats Albert King and Lonnie Mack, both of whom purchased their signature instruments in the first year of production. 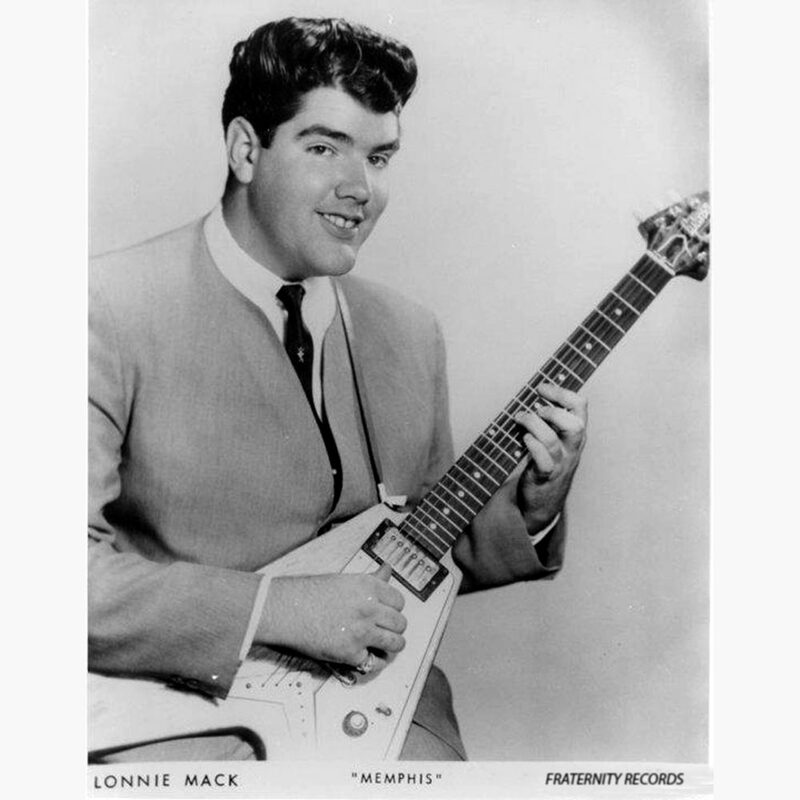 Mack was only 17 when he picked up Flying V #007 from Hughes Music in Norwood, Ohio after spotting one in a Gibson catalog; attracted to the Native American arrowhead shape, shop owner Glen Hughes drove to Kalamazoo, Michigan himself to pick up the instrument for Mack. Although Lonnie refinished the guitar in red and had Hughes install a Bigsby vibrato some time later (which Mack dubbed his "whammy bar", the first known instance of the term, after his 1963 single "Wham! "), it remained his favorite instrument for the rest of his career, and along with a Magnatone amp, helped define his unique sound. 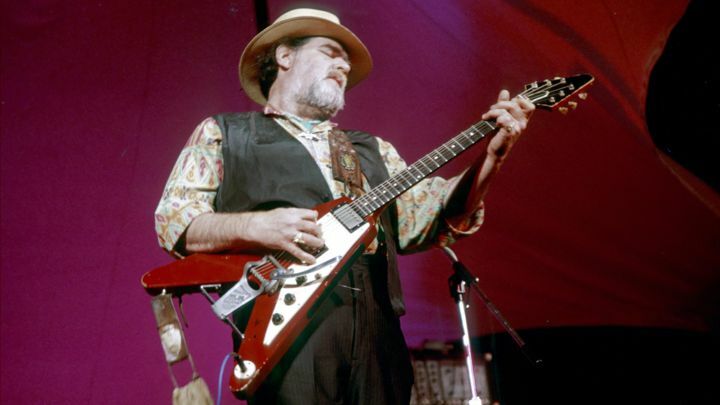 Lonnie Mack with refinished '58 V and added Bigsby "whammy bar"
Albert King's original Flying V history is a bit more complicated, and greatly disputed; this writer won't claim to be the final word on the matter, but I've gathered as much information as possible and hope to present it all here for you to debate. Albert claimed to have purchased his first V new in 1958, attracted to it's unique look from a showman's perspective, and supposedly it was either stolen or lost in a craps game in the early '60s. 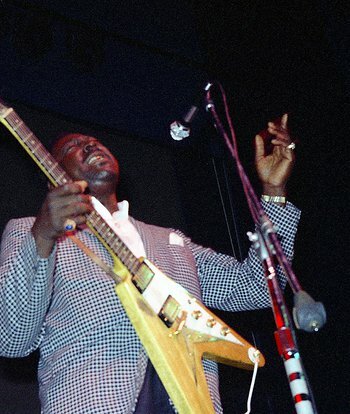 Although no longer in production, Gibson assembled a Korina V replacement for King using leftover parts from the initial '58-'59 run, and stamped it with a '59 serial number; this became a favorite of King's for the next 18 years, until he sold it in 1981 to "Detroit" Frank DuMont for $2500. Some stories say that the '59 V was actually his original, and the sale was the result of a gambling debt to DuMont. 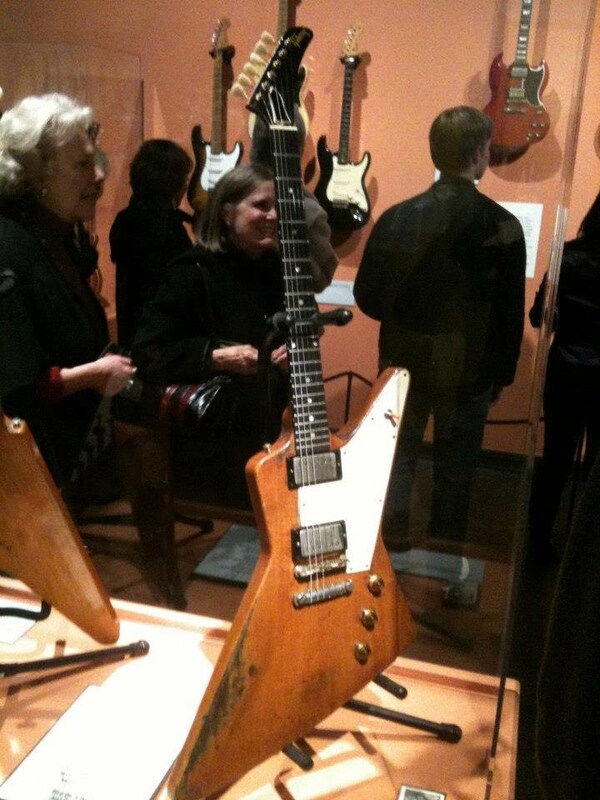 Regardless, the guitar now resides in Steven Seagal's private collection, along with King's '67 Gibson V and the Dan Erlewine "Lucy" custom made for Albert (and spec'd from his '59). To add to the legend, actor Richard Gere claimed to have Albert's original '58 V, and sold it as such at a Christie's auction in 2011. Albert's 3 surviving Vs, the '59 (left), "Lucy" (center), and '67 (right). 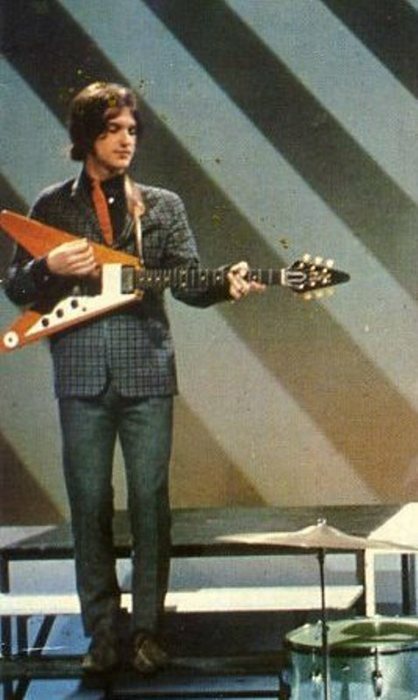 60's rocker Dave Davies of the Kinks was a British Invasion proponent of the Korina Flying V, and helped push Gibson to reissue the instrument in 1967, albeit in a redesigned form. 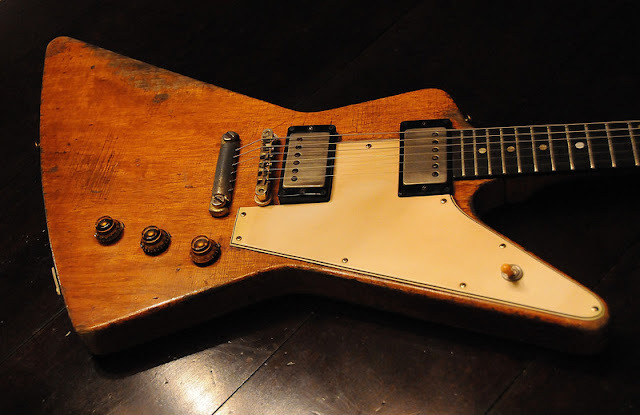 Another original '58 V was owned and played by Keith Richards briefly at the 1969 Hyde Park concert, although little else is known about this "arrow-shaped guitar", as Stones bassist Bill Wyman described it in his book; a rumor spread that it was actually King's original '58 V, although it was never confirmed to be true. That guitar was also stolen, along with many others, from Keith's Nelcotte villa in the south of France during the recording of Exile On Main Street. An original '58 V recently played by guitarist J.D. 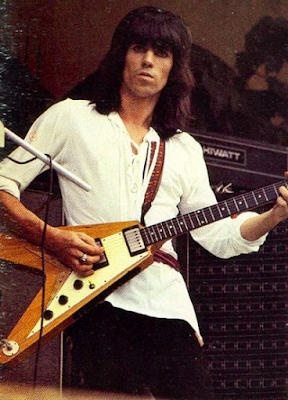 Simo was claimed to be Keith's Hyde Park guitar, but that is also unverified to the best of my knowledge and research; the whereabouts of the Richards' V is still unknown. In 1980, perhaps the unlikeliest of Flying V aficionados arose in the form of Eddie Van Halen, then the hottest guitarist on the planet and enjoying his tremendous success with no shortage of incredible instruments at his disposal. 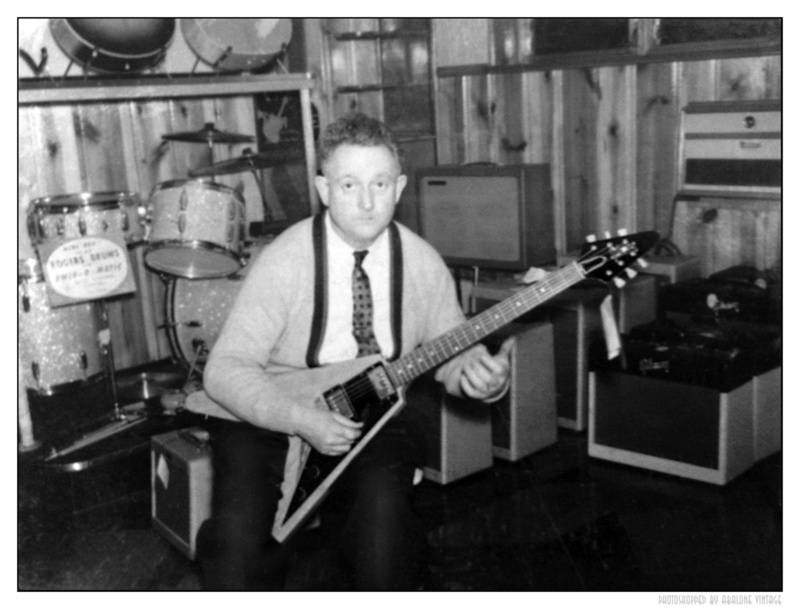 The story goes that Dan Martin of the St. Charles Music Exchange near St. Louis, Missouri, acquired a mint-condition 1957 prototype Korina V from it's original owner under deceitful means; knowing he would receive a large sum for the rare instrument, he traded the older gentleman a nice but rather ordinary Gretsch guitar & Gibson amp for the museum piece, promising to keep it at home in his private collection. Well, he turned around and sold it to Eddie for a reported $10,000, beginning a long career of procuring instruments for the superstar. When the original owner discovered this, he was livid, but had no recourse. 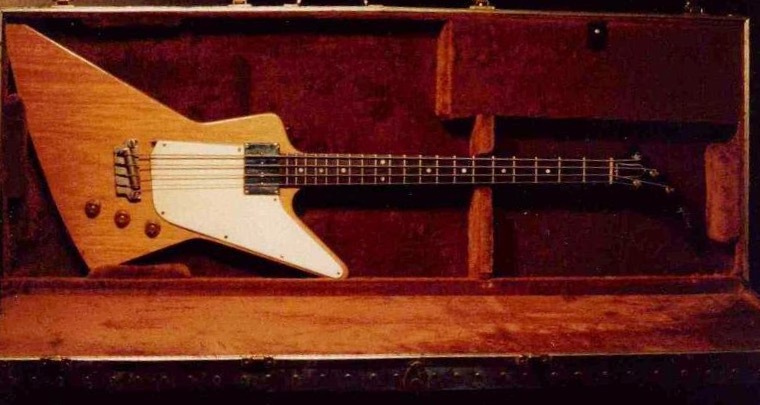 Van Halen used this '57 prototype Korina V in studio only, most notably for the recording of 1984's "Hot For Teacher". 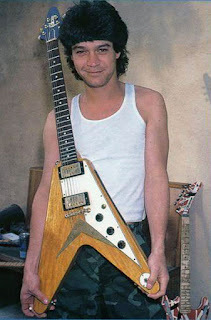 Eddie has stated in interviews that the '57 V is the prize of his personal collection and his favorite guitar. The last of our famous, or rather infamous, original Flying Vs is affectionately nicknamed Amos after Amos Arthur, the owner of Arthur's Music Store in Indianapolis, Indiana. Always appreciating the new and bold, Amos shared the same flare for showmanship that attracted Albert King to the V, and proudly displayed a '58 black pickguard model at his shop (one of only 10 originals with a black guard from the factory). It was sold a year later in 1959, and although the next 16 years are unknown, it resurfaced in 1975 at Norman's Rare Guitars in Van Nuys, California, where owner Norman Harris wouldn't let it leave. Residing in Norman's private stash for nearly 40 years, Amos was loaned out for the filming of This Is Spinal Tap in 1983 as a part of fictional guitarist Nigel Tufnel's collection, and was not seen again until guitarist extraordinaire and vintage aficionado Joe Bonamassa wrestled it away from Norman a few years ago. As one of Joe's favorite instruments, he has played it extensively on tour and in studio, but recently commissioned Gabriel Currie of Echopark Guitars to replicate it down to the finest detail so the original could be retired. As of this writing, Joe has received his Echopark Amos replica, and plans to begin using it on tour immediately. 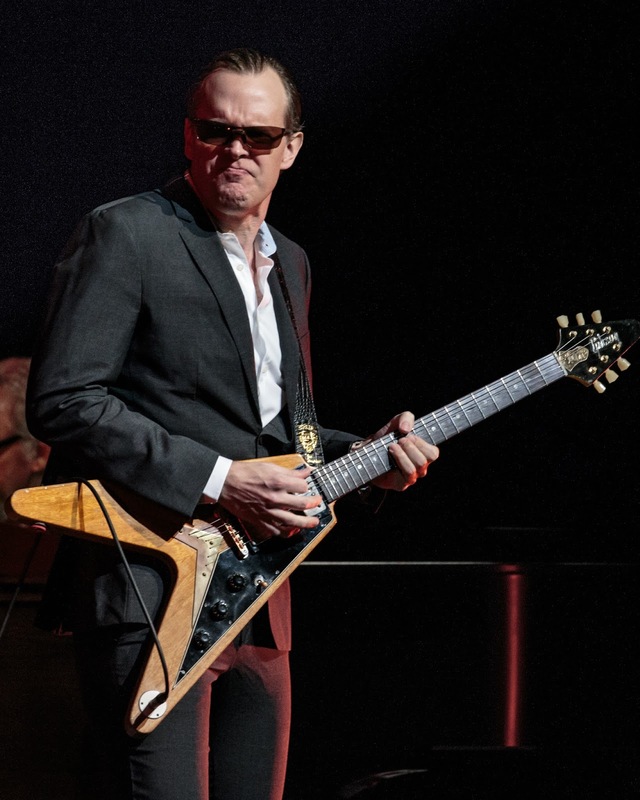 Joe Bonamassa with Amos, almost 60 years later. 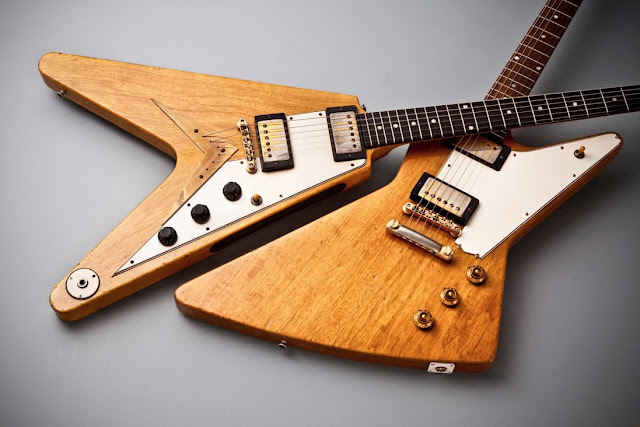 The original Explorer does not share the same prolific history as the Flying V, but with less than half as many units produced (19 shipped in '58, only 3 in '59, factory leftovers later assembled in '62-'63, 38 accounted for today and no more than 50 total manufactured), the Explorer stakes claim to the title of most expensive non-celebrity-owned electric guitar sold, with an original 1958 model fetching $1,100,000 at Denmark Street Guitars in London last year. Although initially considered a bust, the Explorer had a resurgence in the 1970s, with Eric Clapton himself donning a '58 Korina, leading Gibson to reissue the model much like it did with the Flying V a decade earlier. 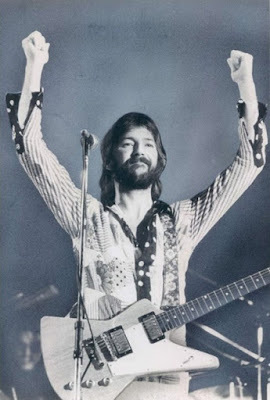 Clapton's first Korina Explorer, seen on the '74-'75 tour, heard on the E.C. 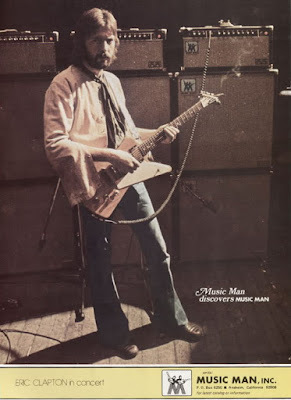 Was Here live album, and posed with for a MusicMan amplifier promo ad, had a chunk removed from the rear fin, and was reportedly sold to him as a one-off factory prototype from the '57-'59 era by Alex Music in New York City. 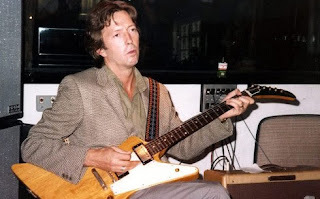 Eric loved the guitar, but when he later discovered it was in fact a butchered original and not a rare prototype, he demanded the store take it back; they refused, and Clapton stopped playing the guitar altogether. It now resides in a Japanese collection. 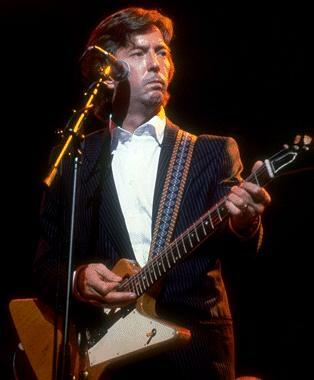 Another unmodified original was purchased and used by Clapton in 1983, and sold at auction for his Crossroads charity in 1999. 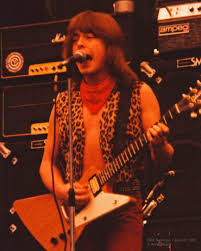 Rick Derringer, Rick Nielsen of Cheap Trick, U2's The Edge, and Kirk Hammett of Metallica all have original Explorers in their collections (Nielsen actually has 2), but those were acquired much later on in the instruments' lives. 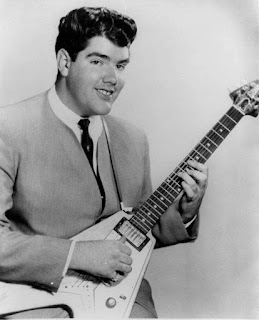 Derringer's early '58 Explorer, seen often with him in the '70s, has the split-headstock design of the Futura prototype, which makes it about as rare as a Loch Ness Monster photograph with Bigfoot in the background. 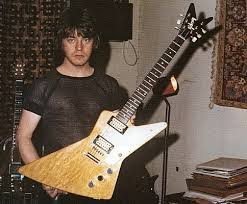 Still, if the Flying V was considered a commercial failure at the time, then the Explorer was the equivalent of a rocket self-destructing at launch, and disappeared from the Gibson catalog until 1976. Even rarer than the original Explorer guitar was the Explorer bass, of which only one has been proven to exist (along with rumors of one or two others). 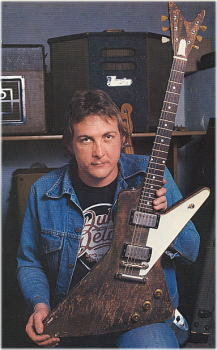 There's debate as to how or why it was created, possibly a special order, or a factory prototype that walked out the door, but it was built from a Korina guitar body with a mahogany neck, 3+1 headstock with banjo tuners (similar to what would appear on the Firebird model), and "Mudbucker" bass pickup. Regardless of it's origin, this serial number 001 bass ended up at Glen Hughes' music store in Ohio by 1962, where Lonnie Mack pressured his bassist Wayne Bullock to purchase it. The $300 price tag was steep at the time, but eventually, after a year of hanging on his wall, Mr. Hughes cut the young bassist a deal, and sold it to him for half price. Bullock played it for the next decade and refinished it first in green, then metallic blue, before selling it to Guitar Player columnist and guitar historian Robb Lawrence in 1973. Lawrence restored it to it's original look and got it into the hands of famed bassists John Entwistle, Jack Bruce, and Chris Squire, among others, before Explorer aficianado Rick Derringer saw the bass and had his manager purchase it. It changed hands many times since, hanging in a New York City storefront and even appearing on a Lou Reed track, but it's current whereabouts are unknown. 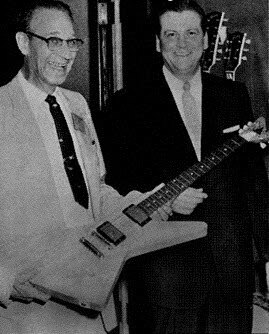 The unnamed, skinny, forked-headstock precursor to the larger Explorer became known as the Futura, and exists only as a few known prototypes, the most famous of which has a Korina body, mahogany neck, glued-on pickguard, and no headstock logo; it was pictured with Gibson general manager Clarence Havenga at the 1957 NAMM show, then made it's way to San Antonio Music, where local musician Ponty "Guitar" Gonzales had his pick of the three new Gibson prototypes. Disregarding the other two as an "arrow"(Flying V) and an "ugly broom" (Moderne - don't forget this part of our story), Gonzales bought the Futura, which spent the good part of the next 15 years in the rear window of his Cadillac between gigs. The Korina body was nearly blackened from the Texas sun when dealer/collector Kurt Linhof of Specialty Guitars in Houston came across it in the mid-'70s, and convinced Ponty to part with it in exchange for a brand new reissued 1976 Explorer. Linhof restored the guitar as best as possible, and along with an all-mahogany model which resides in Phoenix, Arizona, and an all-Korina piece verified by George Gruhn, rounds out the triumvirate of known original Futuras. From above, clockwise: Clarence Havenga at NAMM '57, Ponty Gonzales with the very same Futura in 1975, and Kurt Linhof's cleaned-up reclamation project. 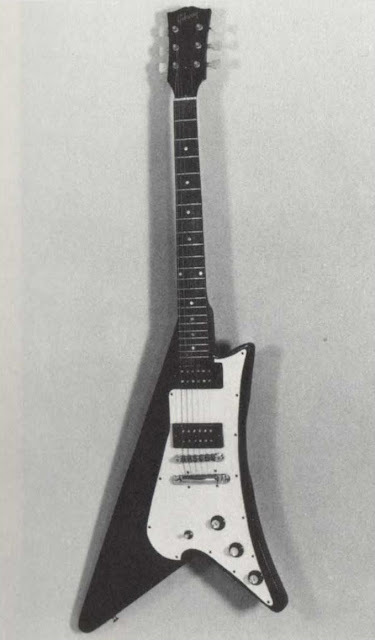 Finally, for the White Whale of our story, the ever-elusive "Moderne" (dubbed as such for a 1982 reissue); there is not a single verified original model to be found, only a series of vague legends about the odd Gumby-shaped instrument. Former Gibson President Ted McCarty swears at least one prototype was made, most likely three as was the norm; Billy F. Gibbons claims to have an original, but refuses to let anyone inspect it, including his friend and vintage expert George Gruhn (any Moderne-style model Billy uses live is a replica by John Bolin or a reissue by Gibson). Considering it wasn't even photographed for his great "Rock + Roll Gearhead" book, one might safely assume this is another of the Texan's legendary tall tales. Dan Erlewine thought he found one for sale near Ann Arbor, Michigan in the late '60s, after it was refinished in black and retrofitted with a Melody Maker neck; this guitar eventually made it's way to Gruhn's examination bench, and he deemed it a fake, but there was much dispute over this. 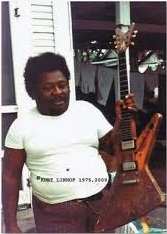 Mainly, why would anyone replicate or copy a guitar with no demand or appeal that only a few people even knew about? There was no market for it at the time, as the legend didn't pick up steam for quite a while. 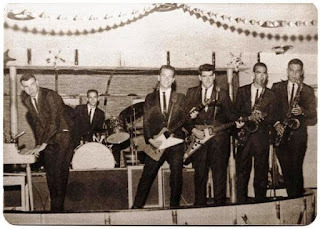 A former Gibson Kalamazoo employee named Ren Wall claims to have borrowed a Moderne prototype from the factory vault in the early '60s, but returned it after a one-night performance of "Bye Bye Birdie" at a local theater; he says he hated it. 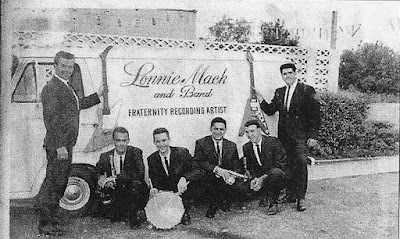 Also in the early '60s, a man named Bill Cherry has stated that he played a Moderne at North Miami Music, and of course Ponty "Guitar" Gonzales described one as an "ugly broom" in San Antonio circa late '57. That's it; absolutely zero solid evidence of an original Moderne, and a sure seven-figure reason to start checking under your grandfather's bed. The Dan Erlewine "Moderne", the guitar equivalent of the Zapruder film. very cool story!! I did not know about this, and will try to add it in. Thank you so much!! Great article on the Korina guitars J.P. I'm glad you've included the Explorer Bass in your article. It's whereabouts are definitely known and everything that I've been able to compile about it can be found at http://www.explorerbass.com. I'm not sure where you got #001 from as it has no serial number but my research points to the possibility of a second bass, with a sunburst finish. 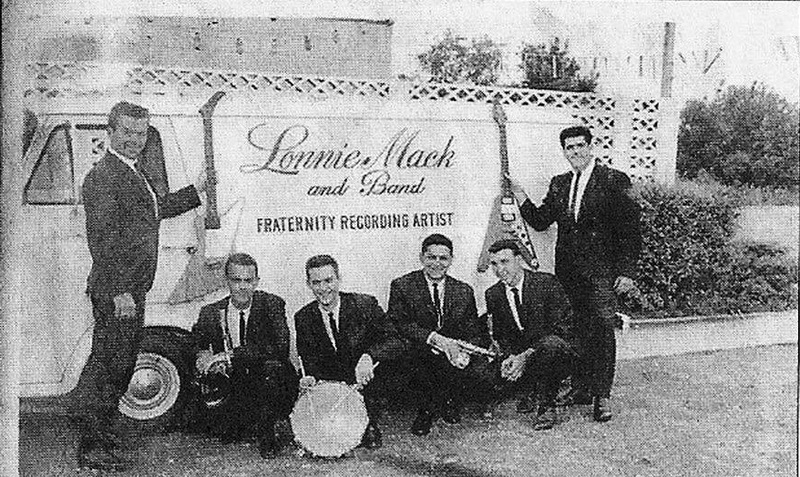 I was lucky enough to interview many of the principals personally in my research, including Lonnie Mack and of course Wayne Bullock. Keep up the great writing, your blogs are terrific! I have an 83 heritage Korina explorer with inked serial number. such an amazing guitar.